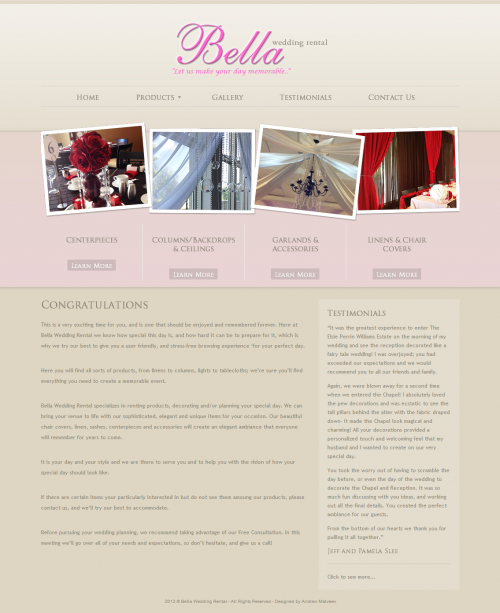 Bella Wedding Rental specializes in renting products, decorating and/or planning your special day. 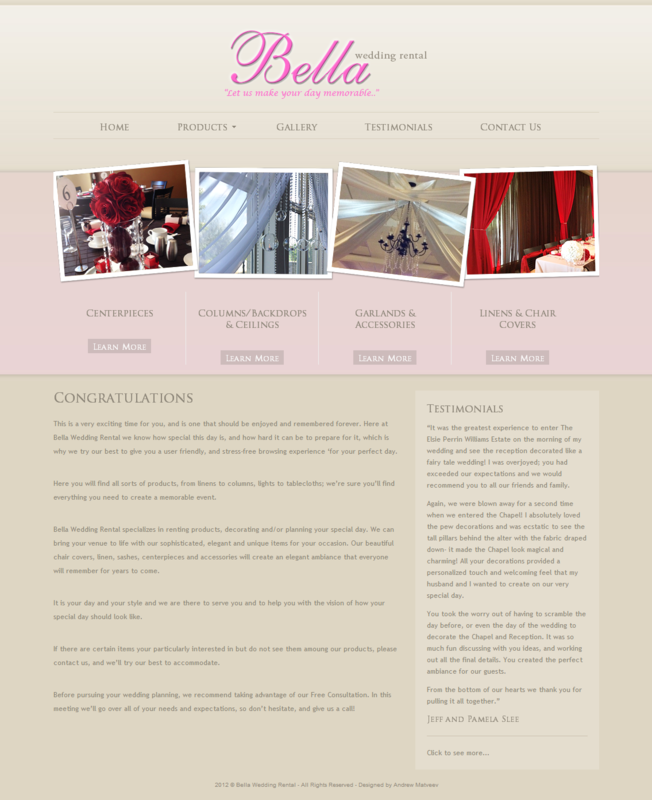 They can bring your venue to life with their sophisticated, elegant and unique items for your occasion. Their beautiful chair covers, linen, sashes, centerpieces and accessories will create an elegant ambiance that everyone will remember for years to come.